Late Registration for both distances is available on race night at the Auburn Dam Overlook on Satruday ONLY, August 3 from 6 PM to 8:30 PM. 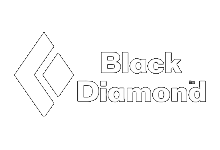 Black Diamond Head Lamps and Technical Running Shirts are guarenteed for pre-reg entrants only. They will not be available for race day registrations until 8:40PM on Saturday, prior to the start of the races. RACE REGISTRATION AVAILABLE ON RACE NIGHT. Price will be $80 for the 10K and $70 for the 5K. 10K starts at 8:45 P.M.
5K starts at 9:00 P.M.
Take the Indian Hill exit at Newcastle. Proceed to Auburn-Folsom Rd. and turn left. Proceed to Pacific Ave.
Take the Newcastle exit, which is approximately two miles west of Auburn. Go straight at the traffic signal, this will put you on Indian Hill Road. Go up Indian Hill Road for approximately two miles to the signal light. Turn left on Auburn-Folsom Road. Follow Auburn-Folsom Road to Pacific Avenue. Turn right on Pacific Avenue and follow it approximately one mile to the Auburn Overlook (large parking lot on your right). The Twilight Trail Adventure Run will use Chrono Track (B-tag) timing provided by Capital Road Race Management. All runners will be given their bib upon checking in on Saturday. Please do not fold or wrinkle your bib or it will not record your time. Click here for for B-Tag Directions. Please be sure to cross the start mat. Overall results will be posted at the finish line on the CRRM van/sprinter. Runner results will be available and posted on the Twilight Trail Adventure Run website on Sunday. Overall awards to the top three male and female for each distance. Awards will be presented to three individuals for Best-Lit Costume (one each for male, female and youth) and also for Best-Lit Team (group of 3 to 6). Light up for the Costume Contest at 8:30PM!!! Most parties happen in the dark, and our post-race celebration will be no exception. Runners will be enthusiastically greeted at the finish line with music, neon lights and maybe even dancing! Runners will be treated to a delicious, hot slice of pizza, Ice Cream Palace, beer from Tap It Brewing (must be 21 years of age or older), and other cold beverages to toast the night! Spectator fare can be purchased at nearby restaurants in Old Town or Downtown Auburn. Please consider giving back to the sport through your volunteer contribution. Volunteer hours can be credited for ultra marathon service requirements. Help support your trail running community. This is a great way to enjoy and experience the event. Each volunteer will receive a special item and post race food. 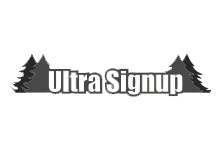 Running School is the official race beneficiary of Twilight Trail Adventure Run. In line with our mission to provide an educational experience for runners, the Twilight Trail Adventure benefits the Running School, a nonprofit fitness and healthy lifestyle program working with schools across Northern California and Nevada. The Running School's mission is to help kids enjoy physical activity, make healthy lifestyle choices, and develop positive attitudes towards competition. Beyond the physical benefits for kids, Running School inspires and cultivates a pure motivation for running. As runners, we put ourselves at risk nearly every time we lace up our shoes. From general trips and falls to predators and cars, we're well aware of the dangers around us when we go out for our runs. We know these dangers only multiply when we set out to run the trails or at night. We've been hit by cars who don't see us, stalked by wild animals who prey on us, tripped up by objects we can't see, and even physically assaulted. Our loved ones and local law enforcement remind us of these dangers constantly, so much so that many runners often fear running at night. And yes, at times, it can seem scary and dangerous. But we know that by following proper safety rules and running with others, we can enjoy the trails as safely at night as we can during the day. Indeed, running at night can be a whole new experience full of adventure, freedom and fun. The Twilight Trail Adventure empowers runners to embrace running in the dark following common-sense rules, and to join a strong community of runners who want to take back the night! We aren't afraid to run in the dark. And we want others to come run with us too! Let's run safe and smart in the dark.